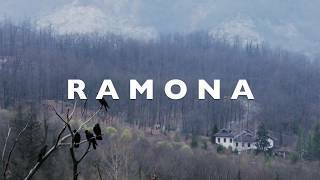 RAMONA is an intriguing songwriter who, together with her eponymous all-female band, released her exceptional debut album upon the world on 21 April 2017. It’s an album with songs that take hold of you, that touch your soul, that do everything they’re meant to do, particularly thanks to the magnificent harmonies in these four ladies’ vocals and the surprising arrangements. 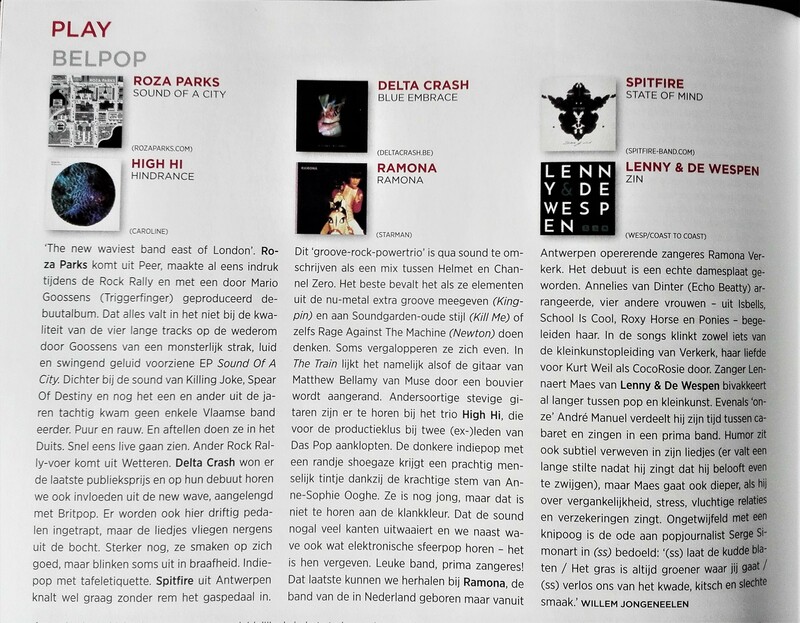 Annelies Van Dinter (Echo Beatty) heard RAMONA’s initial recordings and signed on to flesh out the songs even more. She and RAMONA tweaked the pre-production and arrangements. To complete the numbers, RAMONA found Naima Joris (former Isbells member), Hanne Torfs (School is Cool), Anke Verslype (Roxy Horse), and Juno Kerstens (Mira, Ponies), with the latter three making up her actual band. RAMONA was born in a tiny village in the middle of nowhere in the Netherlands. She ran away from home as a teenager, moving in with her parents’ worst nightmare - a 51-year-old artist living in Amsterdam. Here, she gained an understanding of numerous legendary musicians (including Randy Newman, Chet Baker, The Beatles, and many more). She was labelled as too much of an ‘anarchist’ by the Maastricht Drama Academy, which sent her on to the cabaret department at Studio Herman Teirlinck. Antwerp stole her heart and her schooling also gave her a love of Kurt Weill, who, for those who listen well, can be heard in the undertones of her music, as well as influences from Joni Mitchell, CocoRosie, Feist, and Randy Newman.